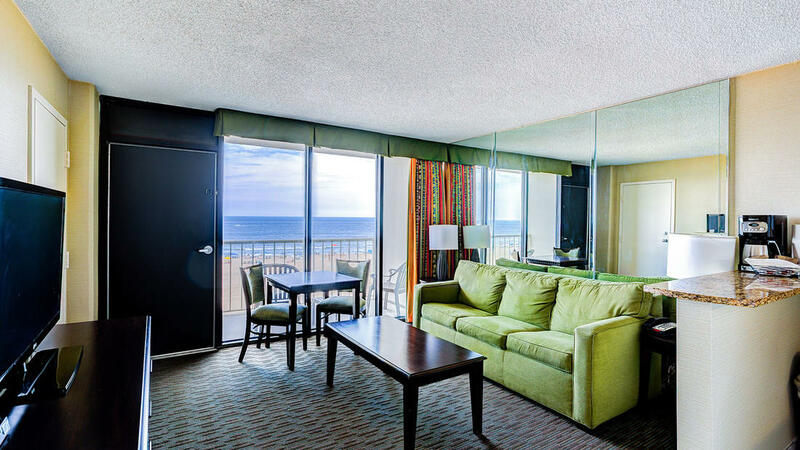 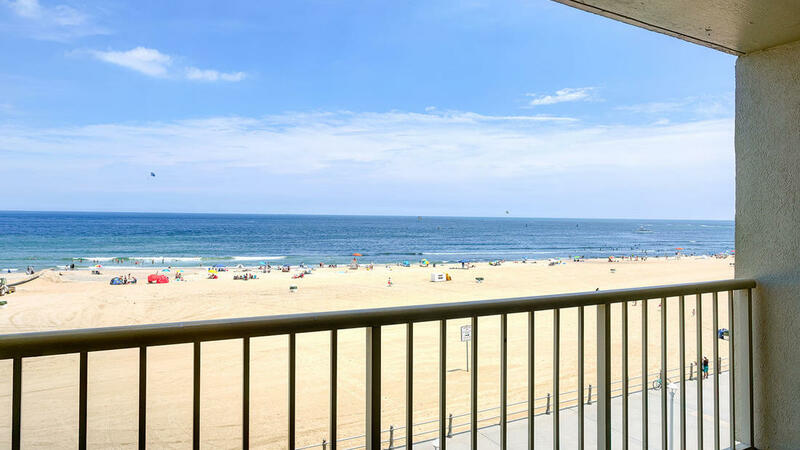 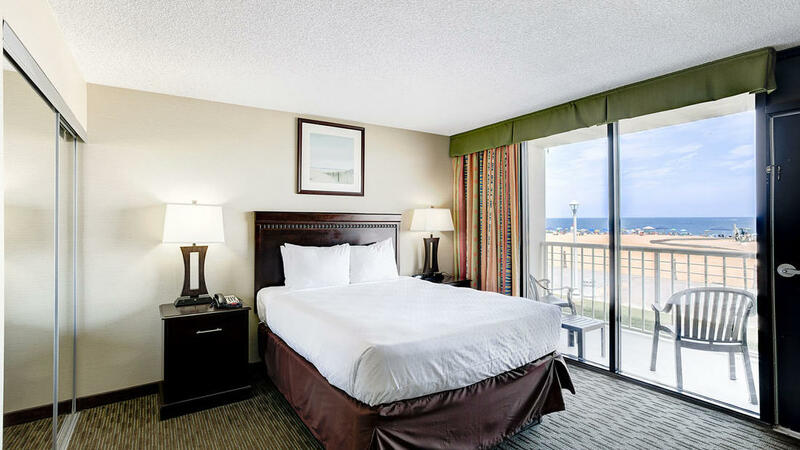 We have exactly what you need to Stay Vacationed™ in Virginia Beach with the only suite that offers a private, expanded oceanfront balcony. 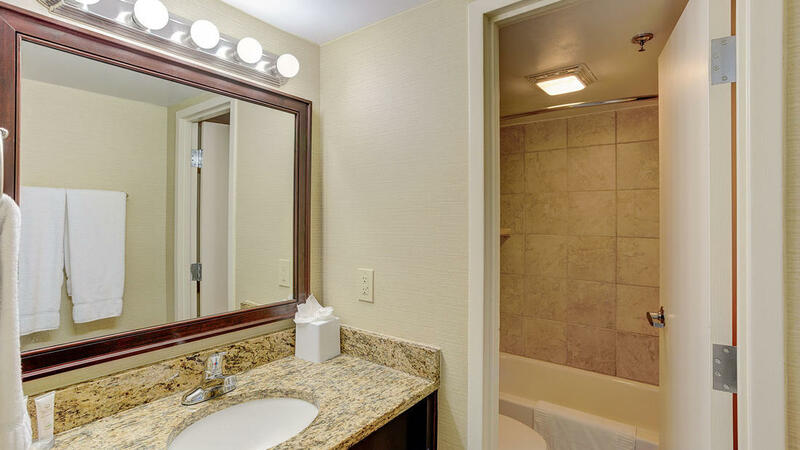 With spacious and welcoming interiors, this suite comfortably sleeps up to four people providing a separate bedroom with a queen-size bed and a spacious living room with a sofa sleeper. 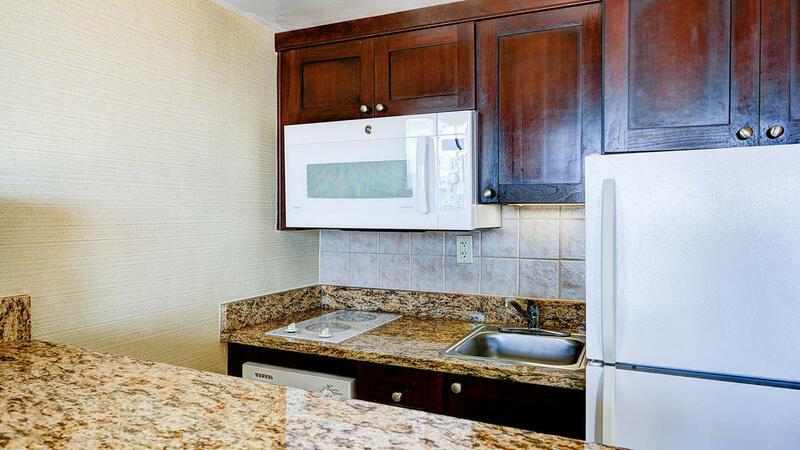 Offering all of the comforts of home, take advantage of the fully equipped kitchen and enjoy a hot cup of coffee or a glass of wine on your oceanfront balcony.